Before starting work on renovating your kitchen in the Tri-State area, a series of important decisions must be made. How we are going to distribute the space, where should the appliances go, what materials are best suited for your lifestyle? An important decision will be the material you choose for the Countertop. A Kitchen Countertop, or a Bathroom Countertop for that matter, is the most visible element, choosing one or another material will dictate the choice of furniture, tile flooring, lighting, etc. 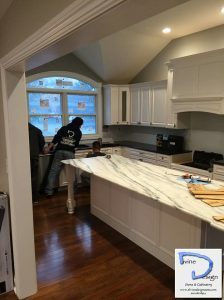 The majority of the clients that come to us from our experience in kitchen remodeling in the Tri-State area come with the idea of ​​installing natural stone countertops. For this option, marble and granite have very similar characteristics. In both cases, we speak of durable and very functional materials that perfectly withstand heat, scratches and stand the test of time. Also, visually marble or granite kitchen countertops offer an exquisite look. However, being porous materials, you have to keep in mind that stains are much harder to remove. If some grease or oil spills over, it probably penetrates the stone and can leave a mark. So timely and routine cleaning is essential. In case you are looking for specialists in kitchen remodeling in the Tri-State area, we advise you to speak with our professionals. For starters, they can help you when planning changes and advise you on the best materials for each purpose. 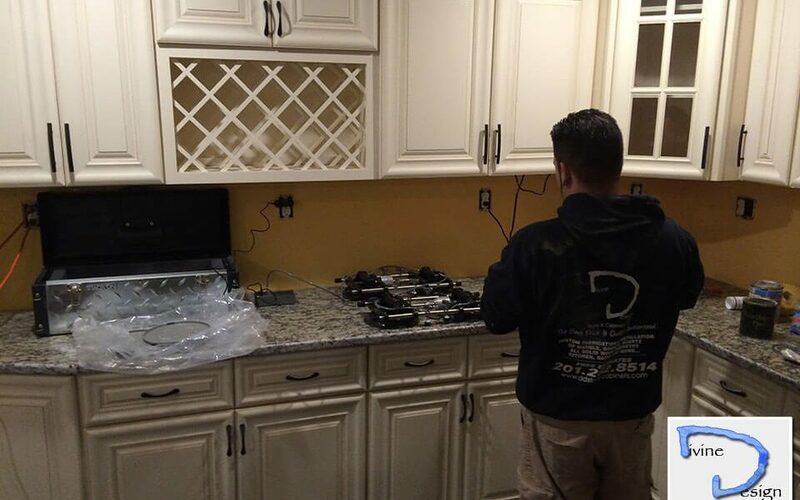 Also, Divine Design is capable of all types of work, from the installation of your kitchen or bathroom cabinets to new lighting, plumbing or tiling. In addition to kitchen/bathroom remodeling for residential or commercial use in the Tri-State area, we also specialize in outdoor kitchens or barbecues. Regardless of the project, you have in mind; Divine Design can work within your budget to make your dreams a reality. Give us a call and let’s consult, our advice is free, and unlike our competitors, we guarantee a no-pressure, no commitment.